Welcome to the first We Write Poems weekly prompt of April! This month, I intend to take you all on a journey through themes — themes which inform the very craft of poetry in which we engage. We have just begin National Poetry Month. Also, the first half of the year tends to celebrate history — February is Black History Month and March is Women’s History Month. This month, interestingly enough, is also Autism Awareness/Acceptance/Understanding Month in the United States. During these times, the histories of these groups (more recently autistic folks) is shared and celebrated. I thought about these these ideas and these energies…and about history in general. History is more than just names, places, and dates: it is a part of who we are as individuals and it informs our writing. Sometimes, it is our cultural histories which leak into our work — and by culture I mean anything as broad as nationality, ethnicity, and religion or something as narrow as the culture of one’s family or social group. We may draw on historical events and people from other dates, times, places, and cultures and use these in our writing. Also, consider that poetry and history are natural partners, as the genesis of poetry as a form was a result of the need to transmit culture, stories, and history to future generations before the existence of the written word. "Nobody knows de trouble I see"? Johnson considers the unknown singers before his time — unknown names and unknown faces, but their songs known and remaining. No matter how long I've been absent. But she'll say my name as she opens the door. families: and Helen’s was no different. The poem uses real-life places and events: Seventeenth Avenue is in an area of the town in which I grew up. 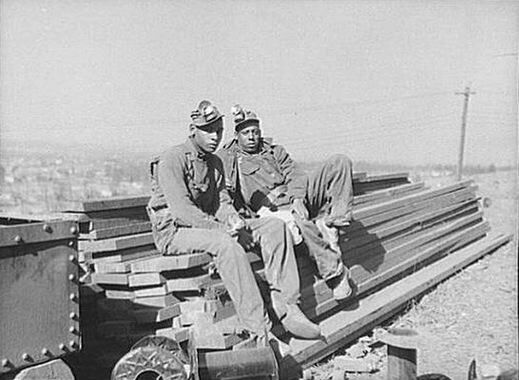 It was one of the streets on which the then-president of the local steel mill contracted builders to construct houses for his African-American employees in the early twentieth century; he did this because many of them were living in slum-like conditions. The town (albeit renamed) is real, the street is real, the steel mill is real, and the house is real, but Helen and her family are not. So I ask you this week: what’s in your genes? What have you been inspired by, historically? What do you think, in a broader sense, about the idea of history? Would you like to fictionalize history? Meditate on this and write. I’m excited to see what you all come up with. You are amazing. And your words are amazing. Keep writing your history, and always make sure there is a crack, as Leonard Cohen put it, to let the light in. I’m tempted to reply: there’s lies, damn lies and history! History seems to vary according to who’s writing it. I have just been writing a bit of family history for my sister’s 80th birthday party, so my mind is at least in gear for your prompt! Maybe tomorrow. and as the saying goes, laughter helps us live longer. This is an embarrassing history for you. I hope it turns out OK in the end. I immediately thought of someone dropping a phone in the toilet…the more common accident I heard. But this is still funny. Thanks for putting a smile on my face. I love this prompt but my mind isn’t following… yet. I’m going to give it time to percolate – be back. Either percolate, or age properly. Depends on whether you think more of wine or coffee. And I love that it got personal. History, be it just within us or bigger than us, is still part of us. Even a lack of knowing history can produce a story. Or a poem. How our roots get lost in the dust. Nicely done, Barbara. Nicely done. This reminded me a little of Langston Hughes’ “I, Too, Sing America” in theme and spirit. Ah, history can be an ache in all of our bones, felt in our roots. Nicely done. This prompt really had me thinking. This prompt also conntects with PAD for today, who want a discovery poem – not yet written, but it could be a continuation of my Genes poem! Not exactly to prompt, but I needed to do this. Denise was a part of this community for a short time. Thanks for sharing it, Elizabeth. Yes, you needed to do this — I can tell in your words, that’s how the light got in. *chuckle* Ironic you say that it surfaced, given your water imagery. Nicely done.